As part of the selection process, all the applicants would receive a thorough physical examination and were required to participate in a limited space simulation programme. This simulation would serve to familiarise them with the space environment and help determine (to a degree) their ability to withstand the stresses of launch, space flight and re-entry. NASA had indicated that it was looking for between ten and twenty candidates. By the cut-off date of 31 December 1964, a total of 1,351 applications or letters of interest had been received at a rate of about twenty per day. Just prior to Christmas 1964, as the applications process was drawing to a close, NASA issued another press release, which revealed that about 200 of the 900 applications that had been received to date had been rejected as ineligible.15 This was mainly due to applicants failing to meet the stated requirements for either vision, age, height, or US citizenship. The visual requirements demanded 20/20 uncorrected vision in each eye. As each applicant had to pass a Class I Military Flight Status Physical, this prohibited the wearing of glasses while flying. 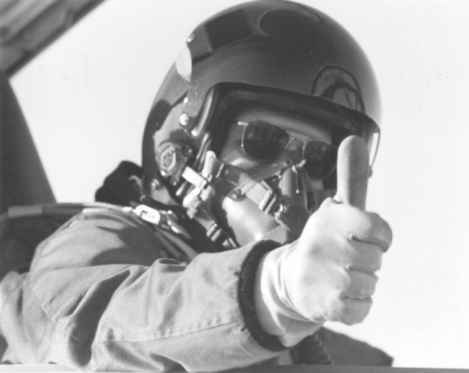 In addition, the full pressure helmet that had to be worn during space flight could not accommodate glasses, while contact lenses were deemed impractical for space flight conditions. On 10 February 1965, the names of 400 applicants (including four women) were forwarded to the NAS to review their scientific credentials. The academy would then forward a short-list of between ten and fifteen candidates to NASA for final evaluation and medical examinations prior to selection.